Biosecurity New Zealand and PNZ continue to work together on what the PMTV management programme will look like. PNZ are consulting with growers, the wider industry and other interested parties. Our new PMTV survey assistant Paula is based in Canterbury, but will be travelling to gather samples. The latest update is on our website here. Please ensure all your PNZ forms are completed and sent in. They can be found on our website for membership, new grower registration, levies and seed grower certification. If you have any problems downloading these, feel free to email Gemma for assistance. Of particular timely importance, is the levy form (BCI). If your buyer doesn’t pay the levy, then you as a grower need to complete the form, even if your payment is zero. We have a number of recently revised & useful resources on our portal, including the very popular TPP Poster (updated) and also a new resource BioSecurity Poster. Be patient with the Portal link, as it loads very slowly, if you have any problems email Gemma directly with your order. Technical Bulletins (TBs) are under our R&D heading on the website, these replace what used to be called the Potato Updates in the past. NZQA Biosecurity Micro-Credential courses roll-out. Starting on April 8th in Pukekohe. 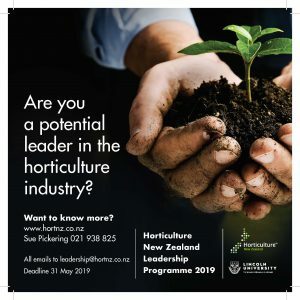 Read about it in the latest HORT NZ newsletter here. World Potato Congress have launched a free webinar series, which allows you to connect with international research and development. Click on this link to take you to their site. 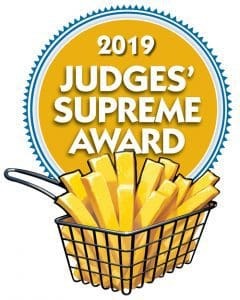 Chips Shops and Chip lovers are urged to participate in the People’s Choice and Judges’ Supreme Awards. Entries open on the 1st April. Read about it on our website here. Refreshments will be provided at the end of the meeting (5.30pm – 6.30pm). We hope to see you there. Please advise Gemma if you are coming. The first Primary Industries NZ summit in Wellington 1-2 July. Register here. Hear from Dr Calum Wilson on powdery scab and soil diseases, John I Keer on PCN and Howard Hinds on disease modelling. Read about it in their March Mag, on page 2. We have a new Nutrient Management Advice PDF for Potato Growers. A revision of a previous resource, from Jeff Reid and Jeff Morton. It can be downloaded from our website under the R&D updates heading or read it here. Keep up-to-date with our R&D projects via our website and come to our agronomists forum on the 13th August, the day before the PNZ Conference. The forum will cover highlights and Q&A on most of our projects. PNZ & Biosecurity NZ are in the process of developing a management plan, which will involve industry consultation. Click to read the most recent PMTV stakeholder update. PNZ have developed a Biosecurity Poster which you can download here or wait until we send it our at Easter time. Make Biosecurity a daily practice on your farm or as a rural professional visiting our farms. Potatoes are gaining favour again in the media thanks to new research proving their benefits. PNZ use the following hashtags to highlight these stories on social media #foodasmedicine and #plantbasednutrition. This story in Potato News Today celebrates the anti-inflammatory properties of spuds. Local grower James Bowan has had his story shared across social media channels. The public love to know the provenance of their food. Read the article here. Waikato Regional Council are 18 months into a 5 year study of using manuka as riparian planting, to filter harmful nutrients and pathogens from waterways. Read about it in this stuff article. Native plantings improve pollination and pest management on this Canterbury farm. Rabobank’s World Potato Map – ‘Fries are on the menu’. Read the post here and download the map. The U.K. is now predicting high impact on vege production due to climate change. Read the story here and which includes a link to the Priestly International Centre for Climate report at the end of the article. Australian Potato Quality affected by long, hot, dry summer. Another climate change burn-out? Sustainable horticulture industries should aim to use all parts of the plant product – so how about turning waste into Gin and Vodka? The Irish have it sorted. Read here. Canada’s Earthfresh are searching the world for unique potato varieties. 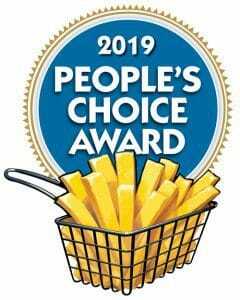 Read about it here and if you are a Maori/heritage potato grower, perhaps you can submit your varieties for inclusion in this collection of diverse potatoes. Looking for an eco-friendly control for wireworms? – read about the latest development here. Andy Robinson will be speaking at our conference this year. Read his piece on ‘Recognising Herbicide Injury in Potatoes’ here. How has X-Ray technology helped this Aussie farmer? So affirming to see the media attention to the nutritional value of the world’s favourite vegetable. It’s finally in the spotlight as a new ‘super-food’. No surprises there right?! Here’s Onegreenplanet’s website, a great resource for vegan/plant based potato recipes. Share them on your farm’s social media platforms. Let’s all work towards celebrating the best of veges. Greenvale, the UK’s leading supplier of fresh potato and the largest organic potato supplier have created a great resource on potato trends in the U.K. from which there are trends similar to NZ consumer. This is a useful resource from which our marketing could learn. Read here. See details in the links below.